When we posted about our basement living room aka the Man Cave, we were just getting the trim on the walls. 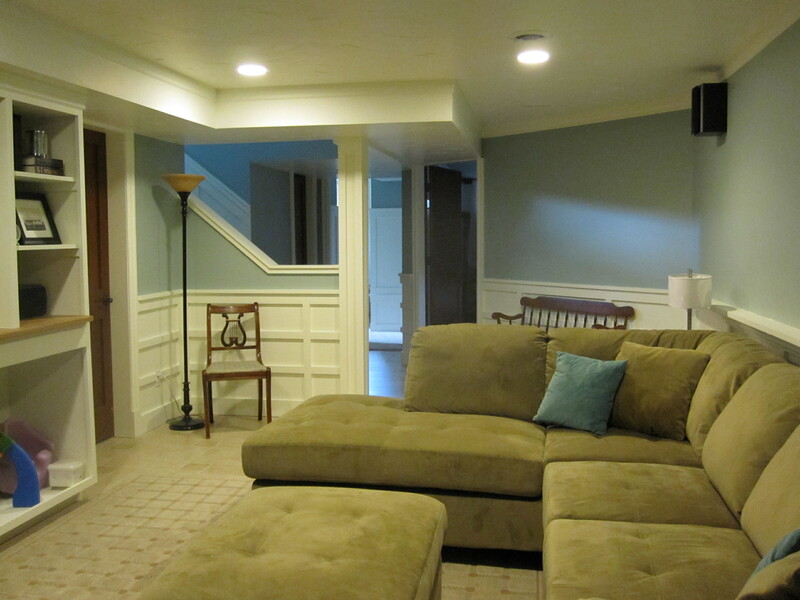 Well, we’re back to show the recent changes we’ve made to Ben’s favorite room in the house. This shot shows the small hallway and stairs. 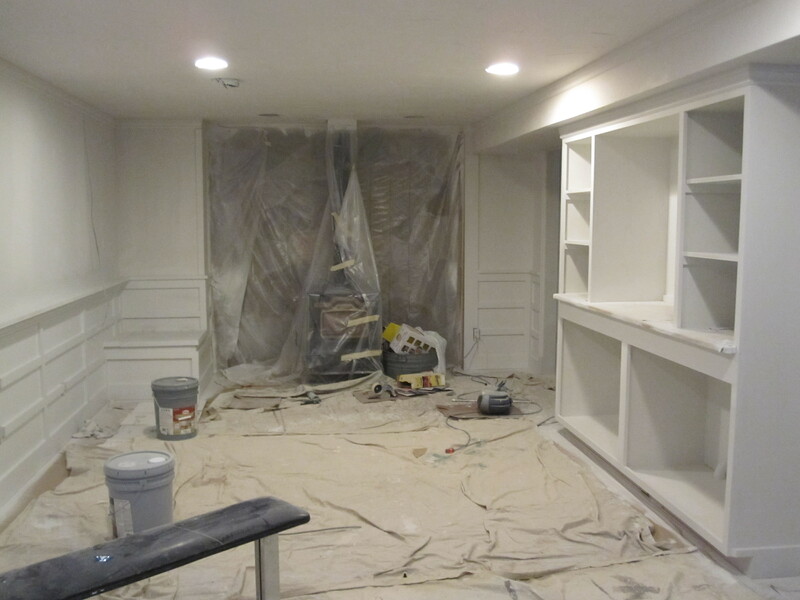 We waited 24 hours for the primer to dry and began spraying the ceiling with Glidden’s Bird Song. 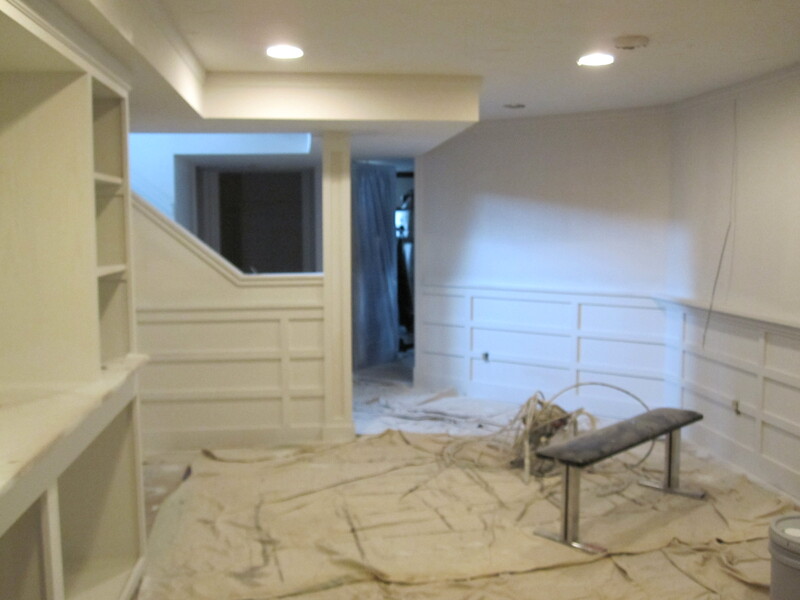 Pass another 24 hour, then we taped the ceiling off to use the sprayer and painted our trim Behr’s Vermont Cream. We removed the tape and HATED the ceiling color. We decided to paint the ceiling Vermont Cream, too. After three coats of white paint on the ceiling, crown mouldings, and trim, we were ready to add some color to the walls. 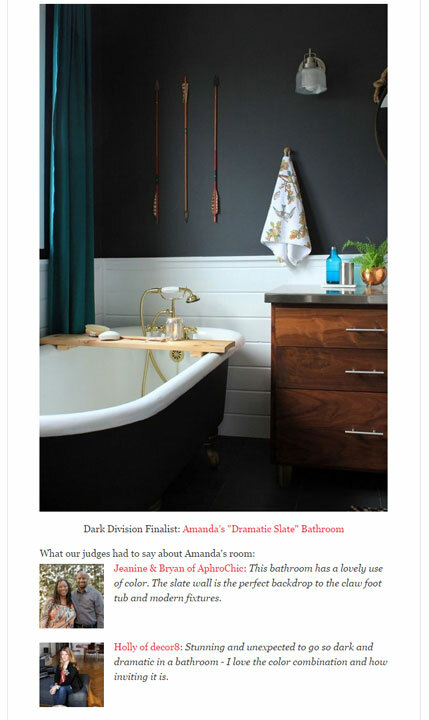 I had planned to paint the basement living room Restoration Hardware’s Silver Sage, which is one shade lighter than our guest bedroom color. We had the swatch color matched at Wal-Mart to order 5 gallons. We started painting shortly upon returning home, but we had major clumps on in our paint. It turns out, the bucket had been on the shelf past it’s prime, leaving a semi-dry paint clump in the bottom of our bucket. We returned the paint and got individual gallons. The paint assistant converted the 5 gallon formula to 1 gallon formula wrong, so the new paint color is in between Silver Sage and Sea Green. The sectional is so comfortable and it can seat a ton of guests. We still need artwork, cabinet doors and storage, but it’s usable now. Our 42 inch Insignia TV, which hails from Best Buy was a great buy-on sale because it is last year’s model. Ben did some internet searching to find the star of the room, his Onkyo 9100 sound system. He got a great deal because there is a small chip on the back of the subwoofer. It still works perfectly, shaking the couch during loud action scenes of movies. Of course, Ben loves it and shows it off to almost every visitor we have. 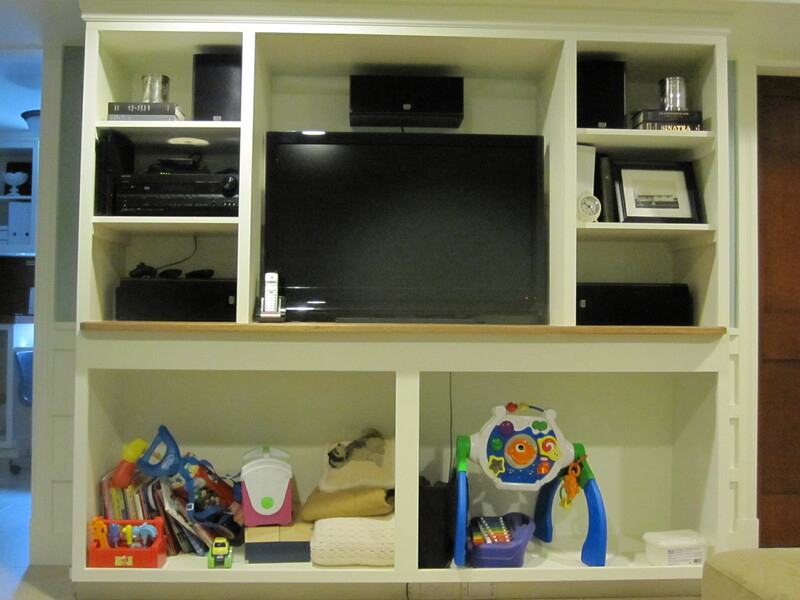 We have some finishing to do, like build, prime and paint our sliding entertainment center doors to hide the ugly toys, add shelving and make some pretty storage for DVDs, but all in good time. I’m curious to know if we’re the only ones to tackle a project with a short deadline. Tell me your project and what your deadline was. The arrival of a guest? Selling your home? Or were you having a baby, like we were? I’ve paint color mishaps in the past so annoying when they mix the colors wrong!! I think the colors turned out fab despite the mishap! The room looks wonderful. Sure, come on out and move in. 🙂 I love our basement. It was a lot of hard work, but totally worth it. 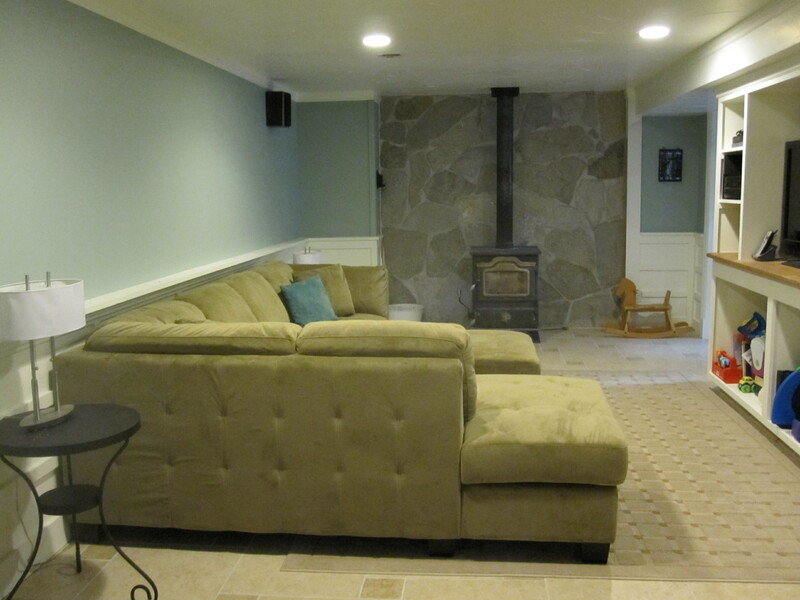 I love the sectional you have in the room…where is it from? The sectional is actually from Costco, believe it or not! We bought it about 1 1/2 years ago, but we saw the same style, just in a slightly darker fabric. I think it was around $800.00, too! man caves do not have kids toys and girlie colors. your husband is whipped.